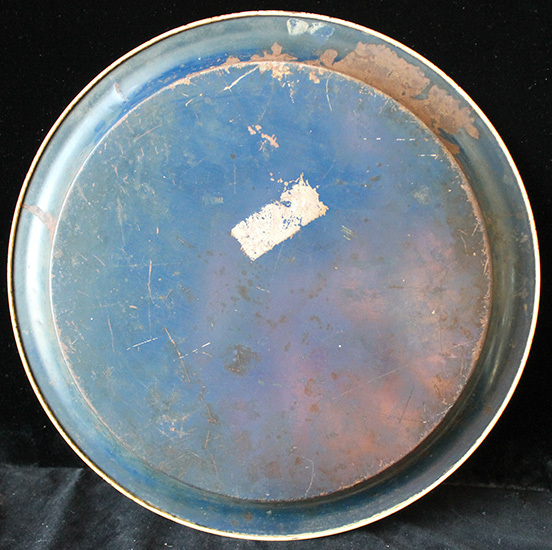 ARTIFACT: Rare mid-1930�s Frank Jones Ales serving tray from the Portsmouth, New Hampshire Brewery. Frank Jones was an iconic figure, businessman and politico in the latter half of the 19th and early 20th century New Hampshire. The tray is round, in the early pre-prohibition style and shows a red badge-shaped logo that reads FRANK JONES ALES.. SIZE: 13 �� in diameter. 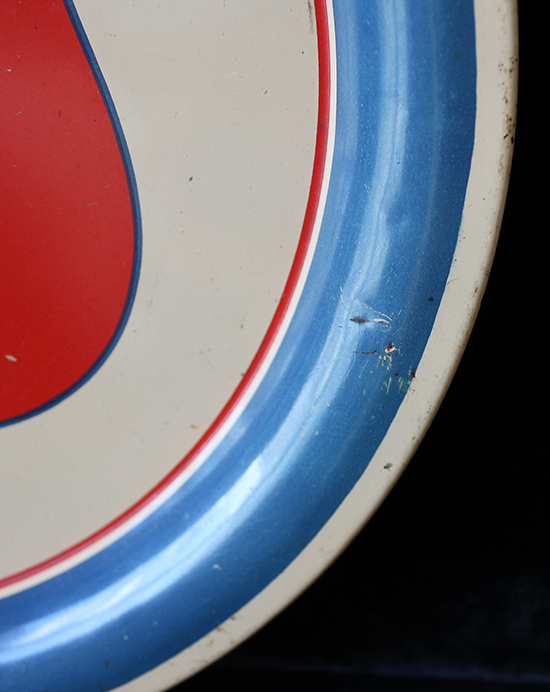 CONDITION: 8- (Very Fine�Excellent): Tray shows scuffing around edges and on reverse, a few minor spots of oxidation, rust, and dings to metal, overall great condition.